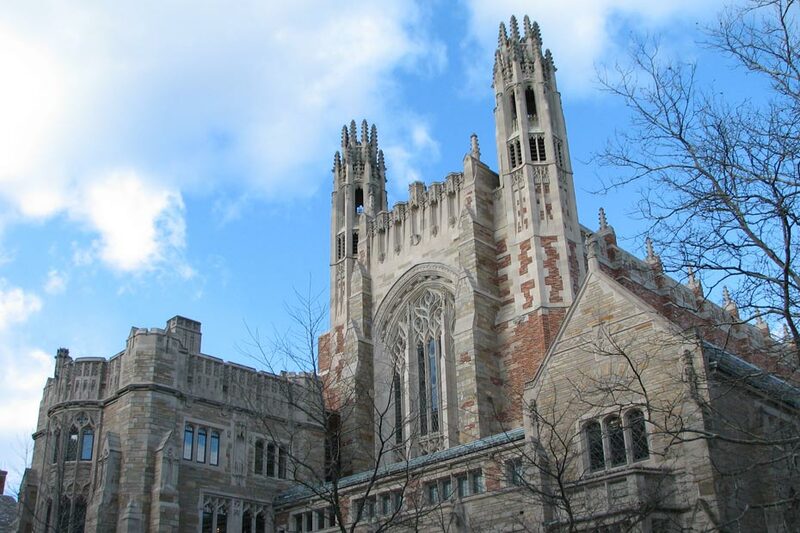 The Sterling Law School comprises a neo-gothic quadrangle anchoring one end of the Yale campus. 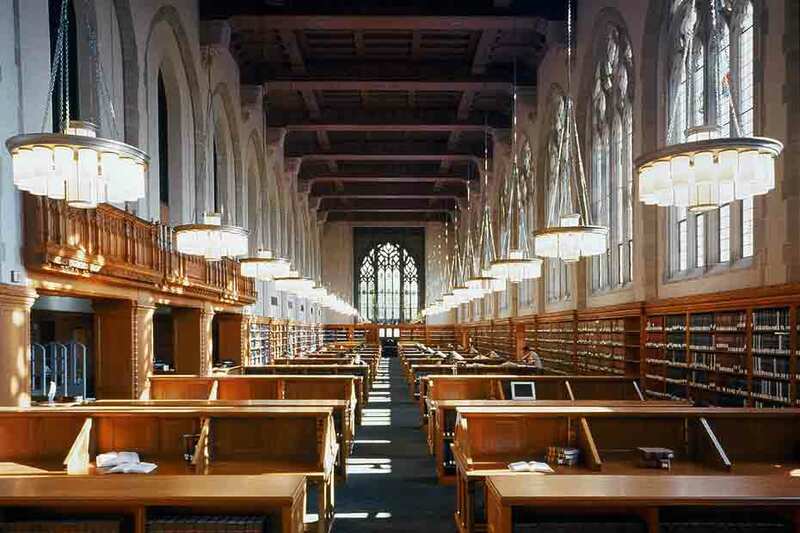 Furnishings and lighting revive the main reading room. New chandeliers, hung at the original locations, were designed from photographs and from related fixtures on campus. Equipped with modern fluorescent sources they give diffuse ambient light efficiently with good color rendering and minimal maintenance. 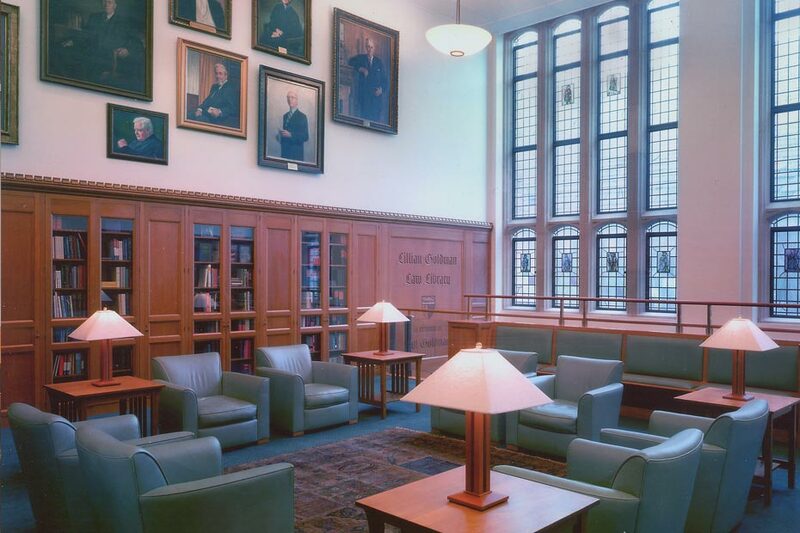 Table lamps and fixtures built into carrels provide additional task light when desired. 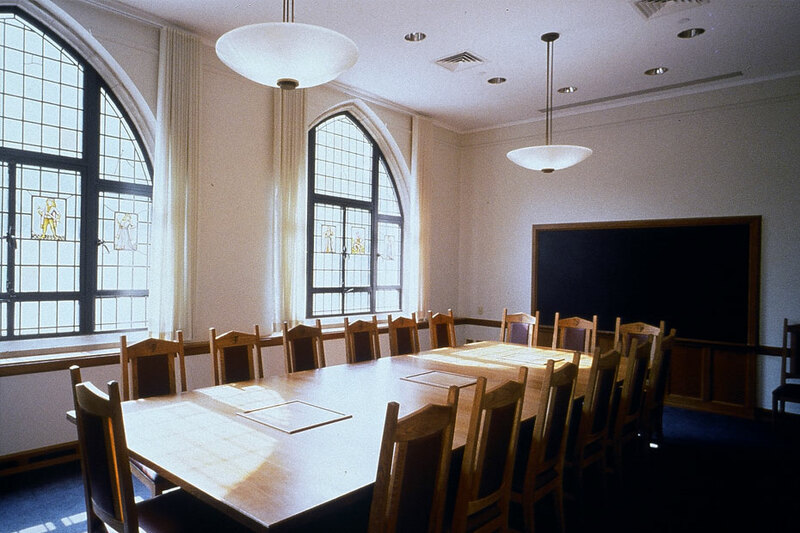 New compact fluorescent decorative pendants and downlights meet modern expectations for illumination in the lecture halls and seminar rooms while being sympathetic to the historic context. Fixtures are circuited for multiple level switching to allow flexibility in use and for energy conservation. Coffered ceilings in the main stack areas diffuse light and minimize contrast from decorative fixtures. 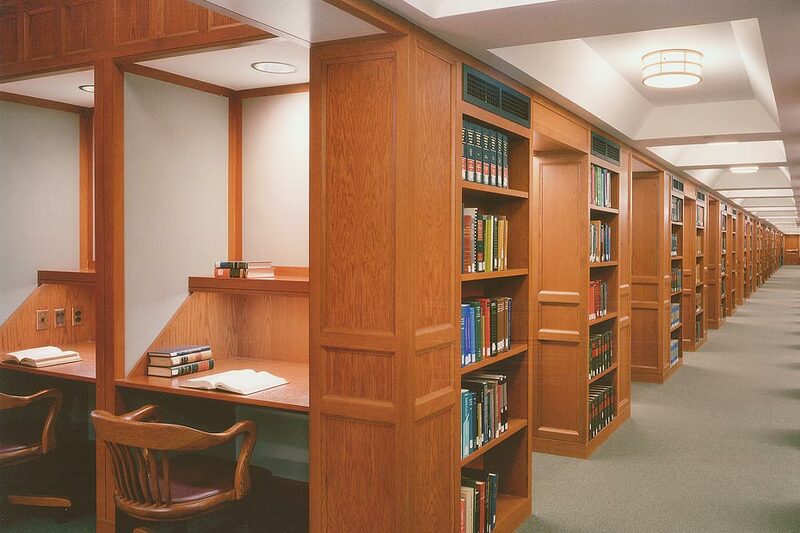 New carrels with wall wash downlights and under shelf fixtures provide efficient, even illumination for reading books or computer screens. New wall washers, pendants and table lamps illuminate old portraits and provide light for reading. 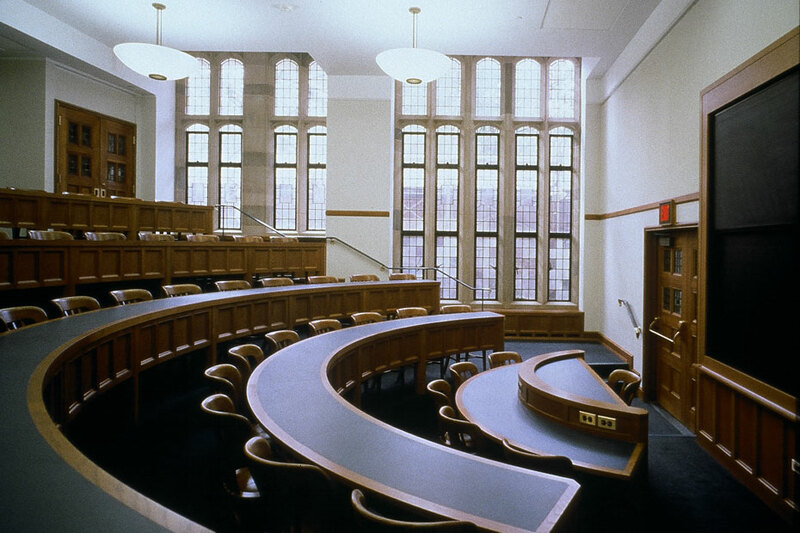 The challenge of renovating the Sterling Law School building was to meet modern expectations and needs for illumination while maintaining the historic collegiate Gothic context. Compact fluorescent is the principal source type used in both downlights and decorative fixtures for its small size, good color, efficiency and long life. Custom chandeliers replace lost original fixtures in the main library reading room, which is adapted to modern technology and restored to its former glory.